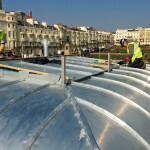 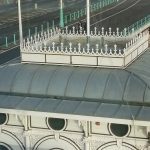 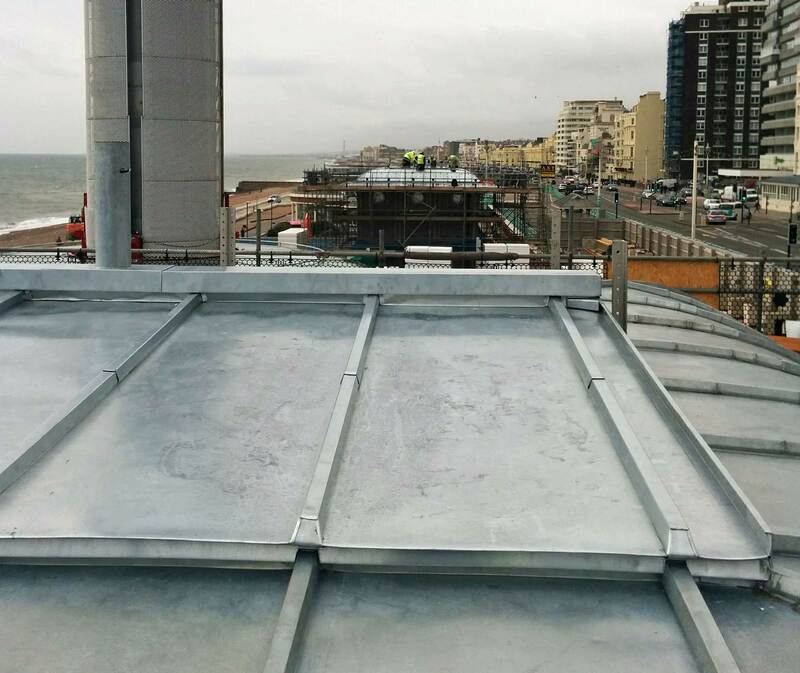 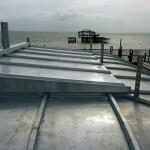 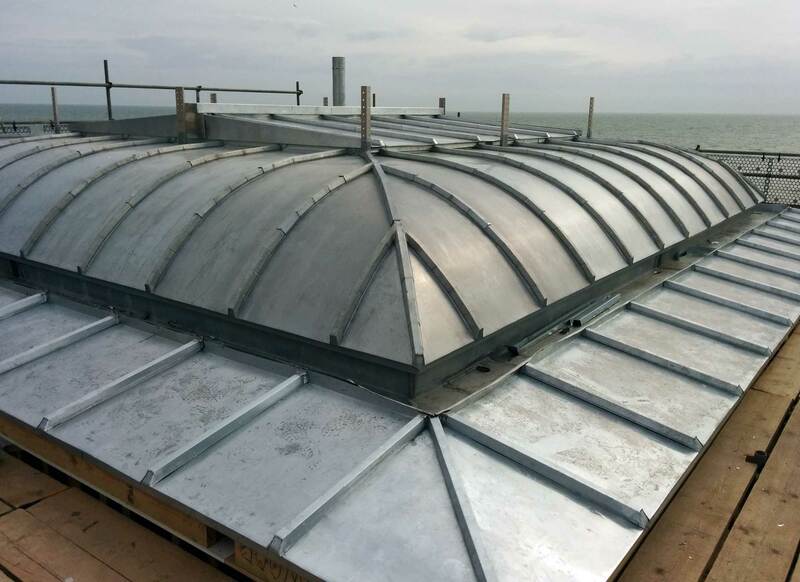 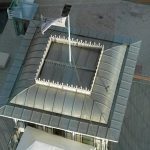 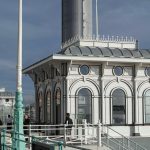 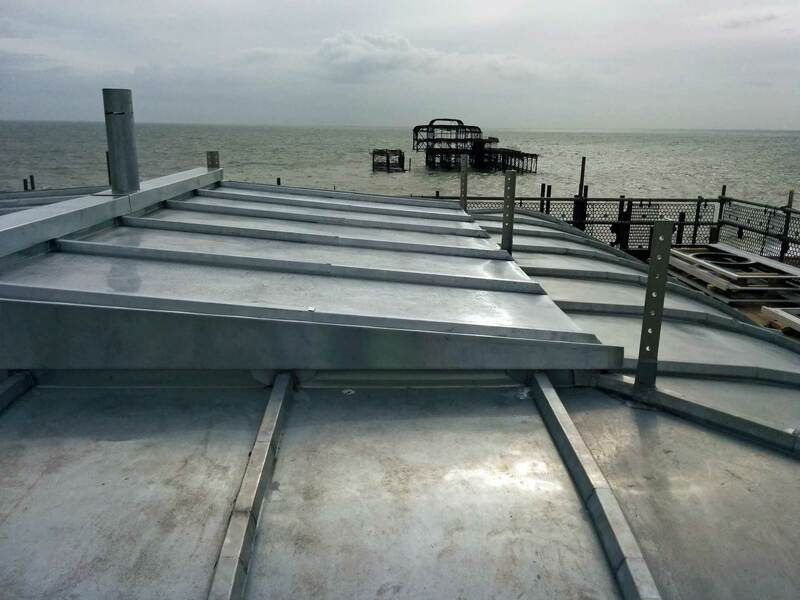 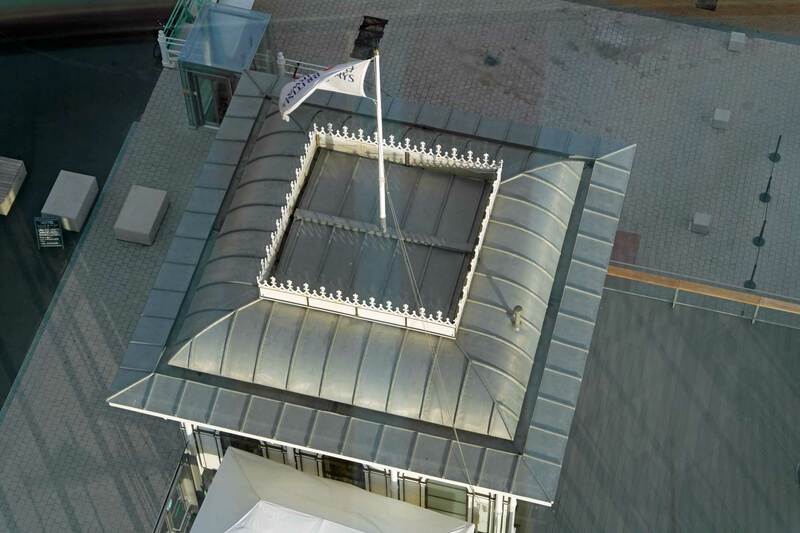 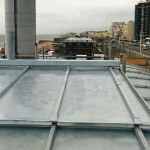 We are very pleased to have installed zinc roofs on the reconstructed tollbooths at British Airways i360 on Brighton seafront in Sussex-by-the-Sea. 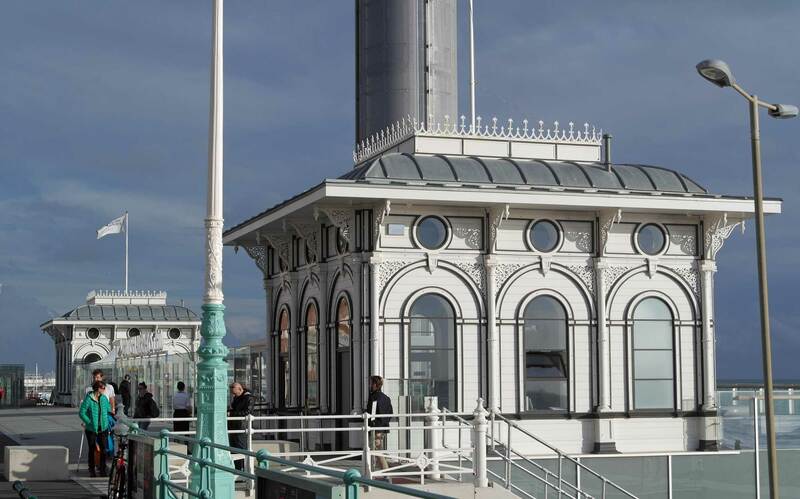 The two buildings, at the base of the tower, replicate the original Victorian tollbooths which stood on the site as part of Brighton’s West Pier. 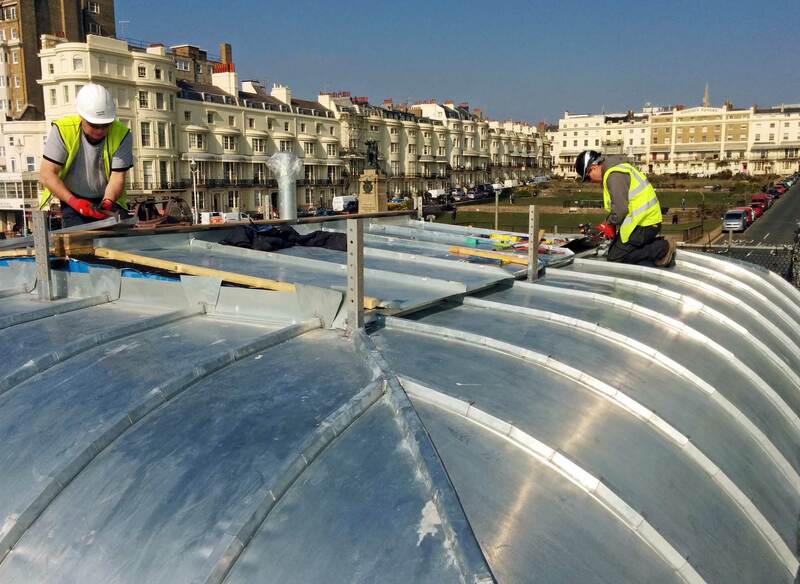 Working from contemporary photographs, we have reproduced the curved, batten roll zinc roofs which were first built here 150 years ago! 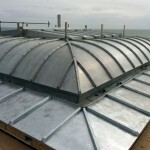 The Natural zinc started out shiny but has quickly weathered down.